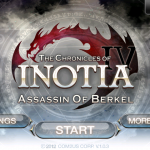 Okay, so I just downloaded a new game (developed by Com2uS who also made Inotia 3. I’m trying the free download version, and if I like it I might buy the game and maybe post Caligo Chaser guides here to expand my “gaming” blog category. 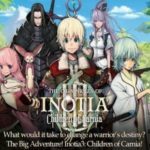 This one is categorized as an RPG game, but seems to have more action in it than Inotia 3.